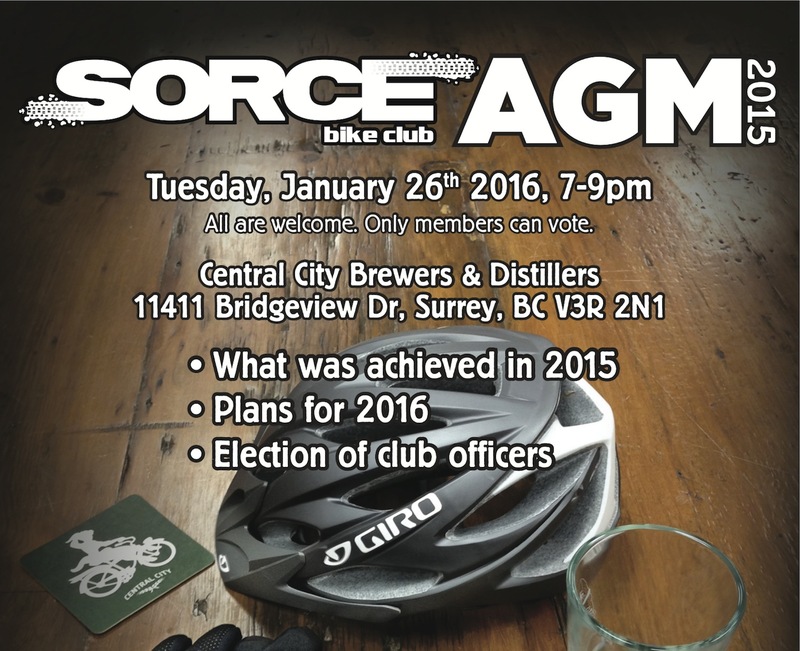 SORCE AGM on Tuesday, January 26, 2016, 7-9pm. All AGM attendees of drinking age who renew their membership will receive 1 complementary Red Racer! SORCE is successful because we have a dedicated crew of volunteers who have varied talents and experiences. Consider joining the team and share with us your expertise! Click below to learn how you can join the elected team. 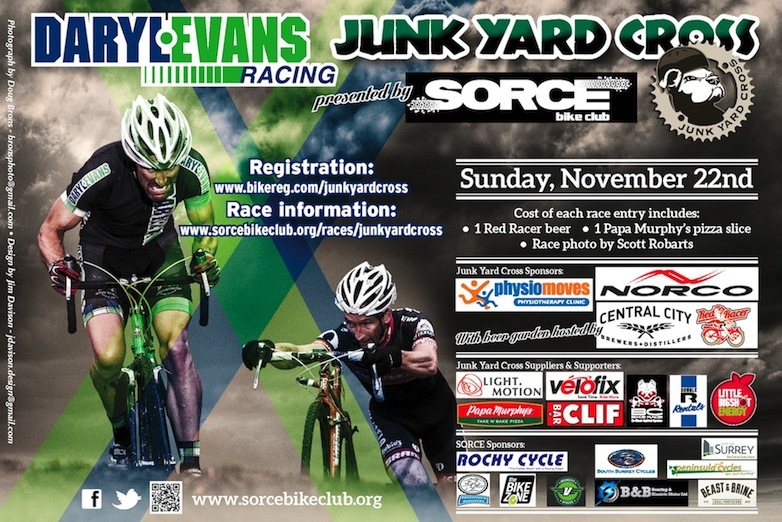 On November 22, 2015, 168 riders competed in the Daryl Evans Racing JunkYard Cross CX Race, presented by SORCE. The sunny cool weather made for a perect day! All the better to enjoy the action from the Red Racer Beer Garden with Papa Murphy's hot pizza. Scott Robarts Photography took a photo of every rider, which was included in the entry fee, along with a cup of IPA or Copper Ale and slice of pizza. 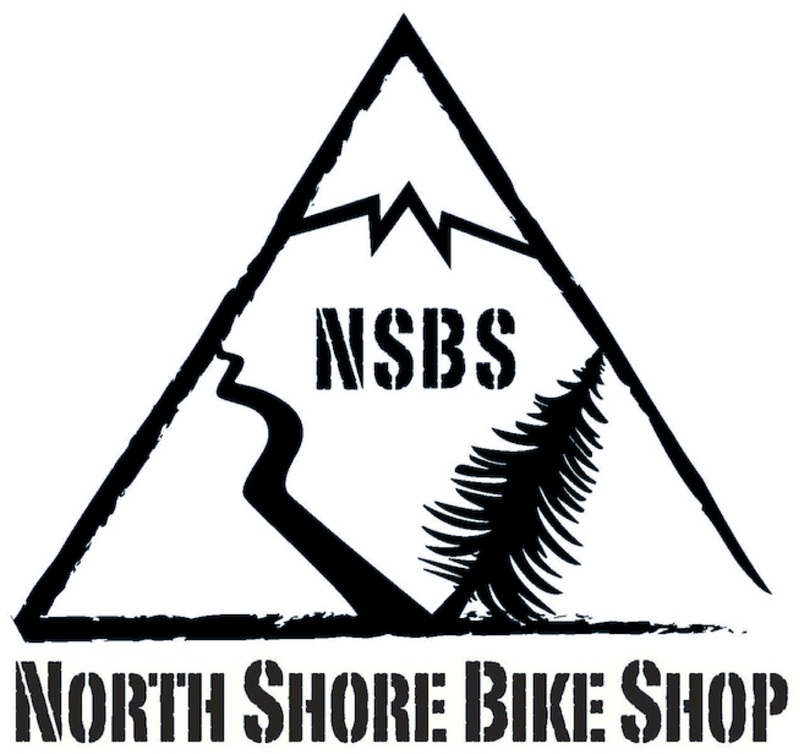 THANK YOU to all our sponsors: Darl Evans Racing, PhysioMoves, Norco, Central City Brewery, Papa Murphy's Pizza, Velofix, Little Big Shot, BC Bike Race, Cliff Bars, Light & Motion, South Surrey Cycles and Beast & Brine. We couldn't do any of this without the very close relationship we have with the City of Surrey. Thank you. To our many volunteers, from the 20 set-up crew members the day before, to the registration, course marshalls, tear down crew, and the executive members of SORCE - WELL DONE! View and download your photo here. Come out and help us keep our forest, a forest. City of Surrey is providing hundreds of native plant species to replant in braided trail areas and those spots that have thinned out over time. This is in conjunction with the Sunnyside Acres Heritage Society replanting in Sunnyside Acres across 24th Ave at the same time. 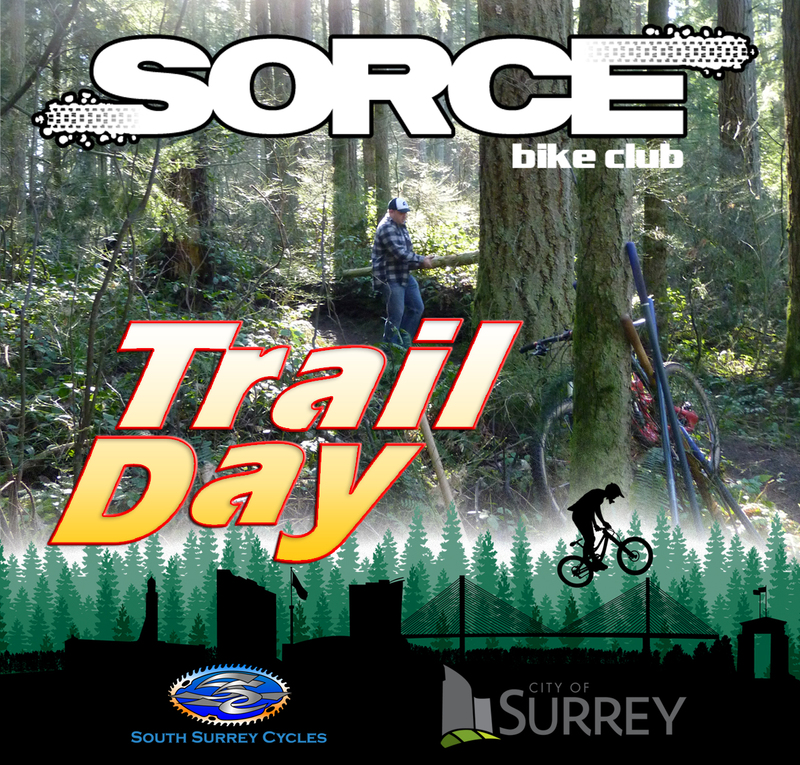 South Surrey Cycles is graciously providing coffee and muffins to help get you started. We meet at the water tower. 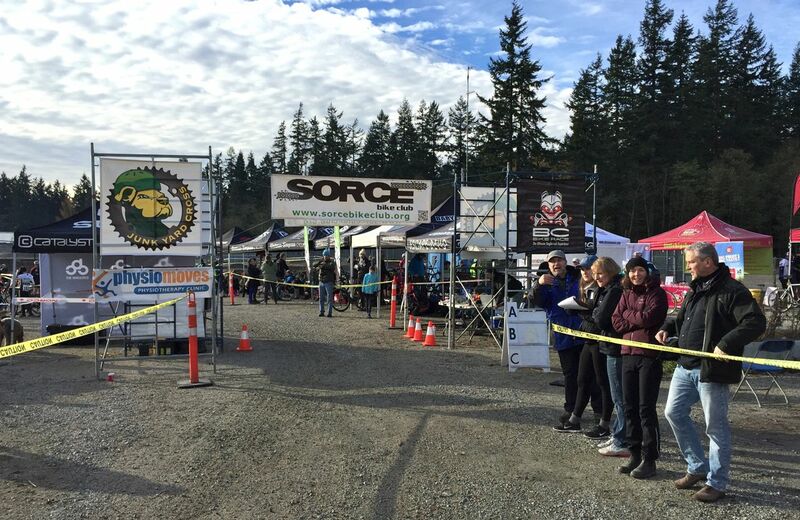 The Daryl Evans Racing JunkYard Cross presented by SORCE Bike Club at South Surrey Bike Park and proud to be part of the BC Premier CX Series. We have included almost every type of terrain in the new 2 km + lap course. An uphill road start will take you onto the gravel by the water tower, through the JunkYard Cross Village and past the Red Racer Beer Garden, up and over the Double R Rental Bridge and onto the grass. As you pass around the water reservoir you will encounter off camber hills before you plummet back onto gravel and onto the BLTrail in the forest. Scramble up the Drop Zone, the steepest muddiest section and back onto gravel. A second pass of the beer garden, (perhaps stop in on your way by) then back into forested single track before popping out onto the road climb. Reverse direction back down the hill while on the off camber swoppy grass then back up the hill on off camber grass along the perimeter of Softball City. We’ve got it all to challenge and entertain you . . .
BEER & PIZZA INCLUDED! - with your entrant fee, a ticket for 1 slice of pizza from Papa Murphy’s Pizza on-site venue. Each entrant of drinking age will also receive a ticket for 1 beer at the Red Racer Beer garden. But you’ll probably want an extra at $3 per while you cheer your favourite racer as they ride by the beer garden twice per lap. Or perhaps they’ll need hydration. Just look at these spiffy Toonie medals. We've got them 3 deep for each category: 1, 2, or 3 laps. Lots of swag, Pulled Pork and something to drink! 9am registration and race starts at 10. 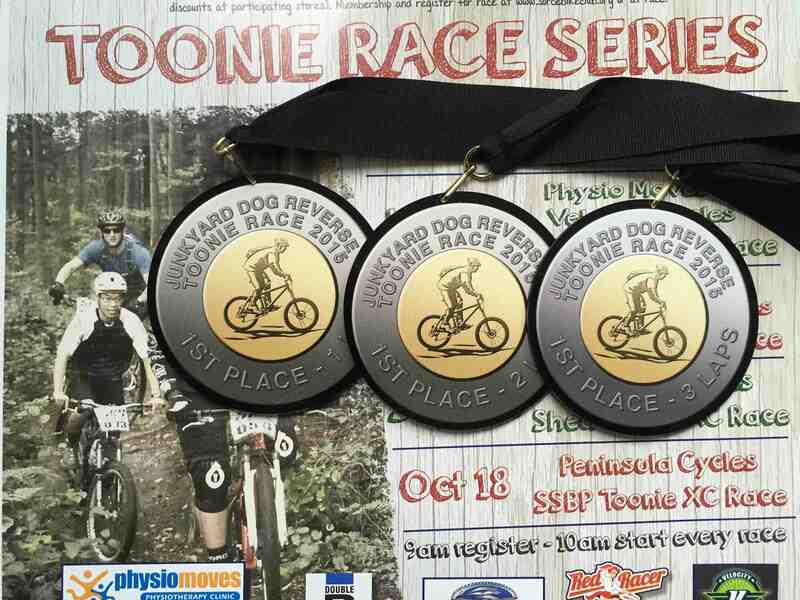 Toonie to race, Toonie for food, Toonie for beverage. With just a week to go, please register here. 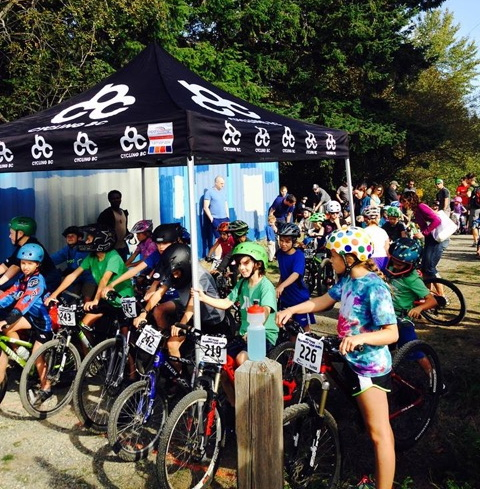 Over 50 kids enjoyed a fabulous day ripping around South Surrey Bike Park. All received a special custom made medal with ribbon from PhysioMoves. Face painting by Just Keep Smiling. Cycling BC brought out their iRide program. South Surrey Cycles provided mechanical services and a whole bunch of swag. Beast & Brine made the all natural brats. 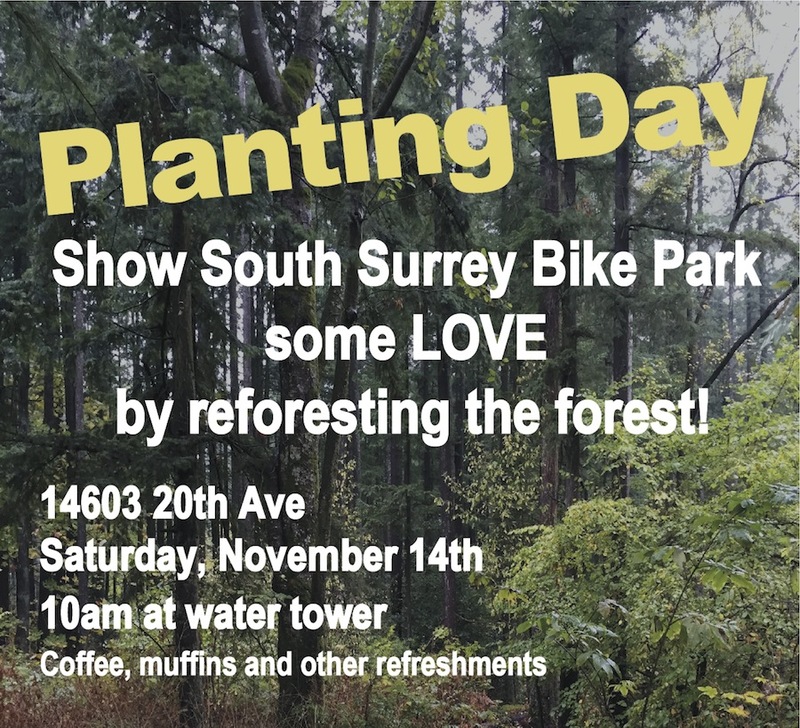 City of Surrey provided a grant to help promote our wonderful bike park. BIG THANK YOU to all our sponsors. BIG SMILES all around! Check out the Flickr photos here. 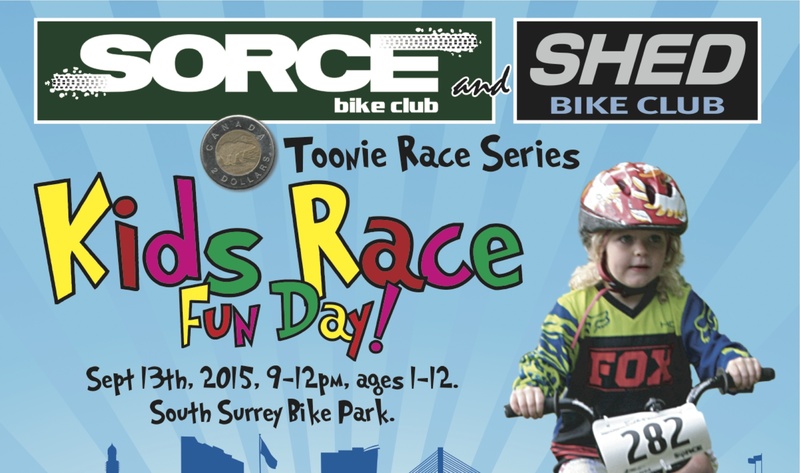 The gears are in motion for another excellent Kids Race - Fun Day at South Surrey Bike Park! Toonie for race. Toonie for food. Toonie for drink. Registration open at 9am, race starts 10am. 1 lap of the BLT trail for younger kids. 2 laps for more skilled. Just Keep Smiling face painting. iRide with Cycling BC - free loaner bikes! Beast & Brine BBQ, fresh local made – no preservatives, juices and water. Participation medal and a cool number plate to keep! Prizes! Delta announced today that Watershed Park is open to public access. RIDE ON! 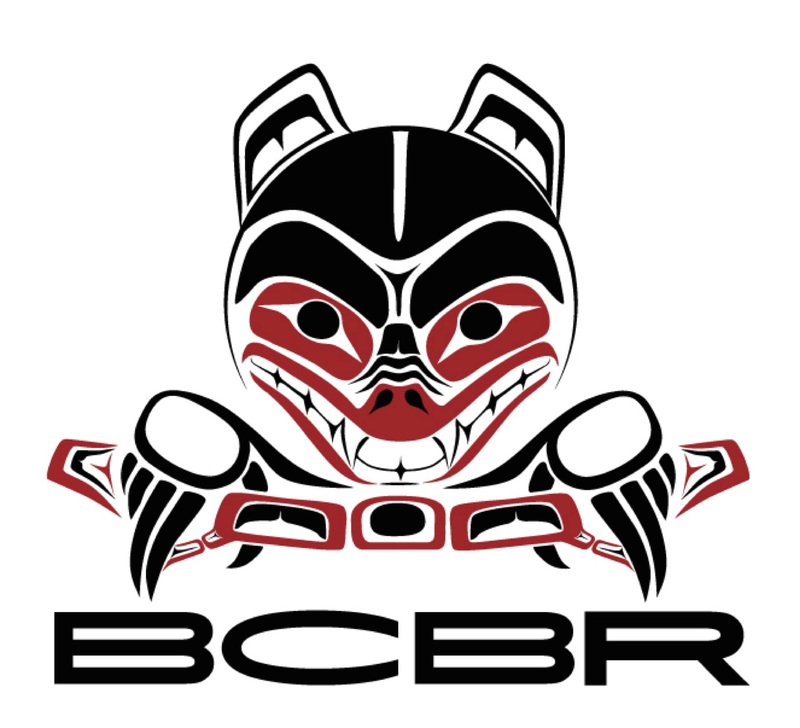 NEW Sponsor Profile - B&B Bearing and Electric Motor Ltd. Junkyard Dog Results & Photos!